Dr. Daniela Shebitz is a plant ecologist who researches the effects of land management on culturally significant species and ecosystems. She is inspired by traditions that have lasted for millennia based on sustainably managed ecosystems through anthropogenic fire and selective harvesting. She is also motivated by research that investigates the effects of altered land management on culturally and ecologically significant plants, and working with local people to restore those plants and ecosystems which defined the region. Her research weaves together methods from biology and ecology with ethnobotany and anthropology to gain an appreciation for the complexity of ecosystems and to develop restoration plans based on present and historic land management. Dr. Shebitz is an Assistant Professor in the School of Environmental and Sustainability Sciences at Kean University where she teaches courses in Ecology, Applied Ecology, Medicinal Botany and Introduction to Biology. She is currently the Program Coordinator for Environmental Biology, a major option within Biology. According to Dr. Shebitz, there is no greater reward to teaching than taking students outside to explore nature and introducing them to a hidden passion for ecology and the diversity of life in their state. It is her goal to invoke a sense of awe and responsibility in students in order for them to become stewards of their environment, no matter what their professional goals may be. She is working with students on research in sites ranging from the urban parks of Union County and the wetlands of the New Jersey Pine Barrens to the tropical lowland rainforests of Costa Rica. 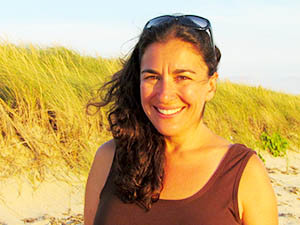 Dr. Daniela Shebitz holds a Ph.D. in Ecosystem Science from the University of Washington, Seattle (2006). She is an ethnobotanist, plant ecologist and restoration ecologist. Her research focuses on evaluating the effects of land management on plant diversity in a wide range of locations. Daniela also studies the uses of plants as medicine, food, and textiles and works with indigenous cultures to reintroduce traditional land management and anthropogenic fire regimes that historically maintained the presence of these culturally important species. On campus, she developed and now coordinates the major programs in Environmental Biology and Sustainability Sciences. She is currently the Principle Investigator on a National Science Foundation Research Experiences for Undergraduates Grant that brings students and Kean University faculty to study tropical ecology in Costa Rica. In her community, Daniela serves on the town’s Environmental Commission. She has organized outreach events such as farmers markets, Earth Week, and conferences, through her positions on campus and in her town.